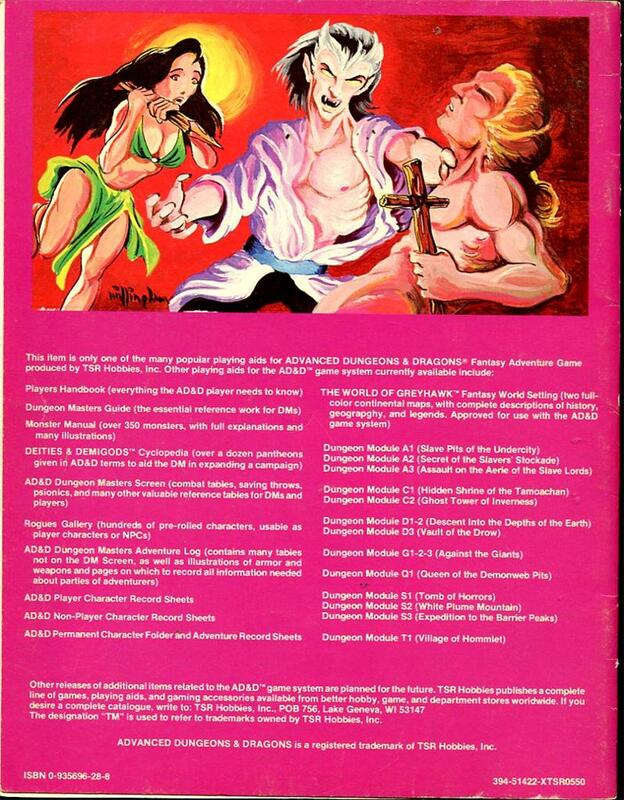 You can see how much the D&D image/brand changed in the space of only two years. 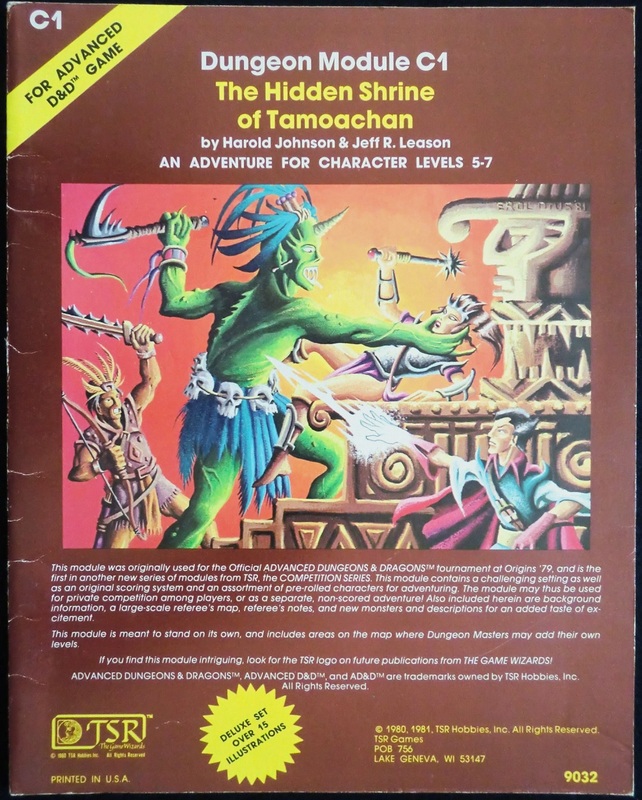 Lost Tamoachan: The Hidden Shrine of Tamoachan was the bagged (unbound) tournament module used at Origins International Game Expo (known simply as ‘Origins’) in 1979. You’ll find the complete publication history at The Acaeum. (Copies are incredibly rare.) 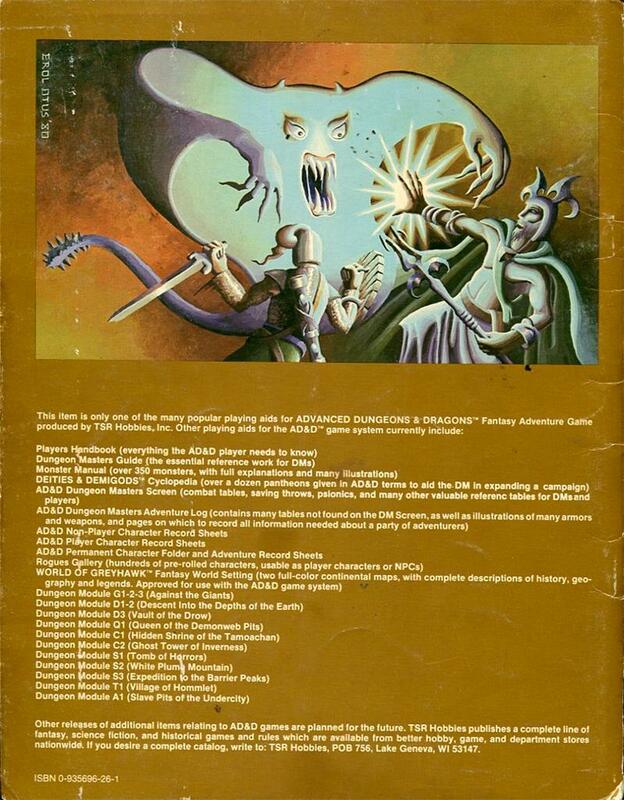 The cover art is by David C. Sutherland III, who did the original, and best, Dungeon Master’s Guide (1979) cover. 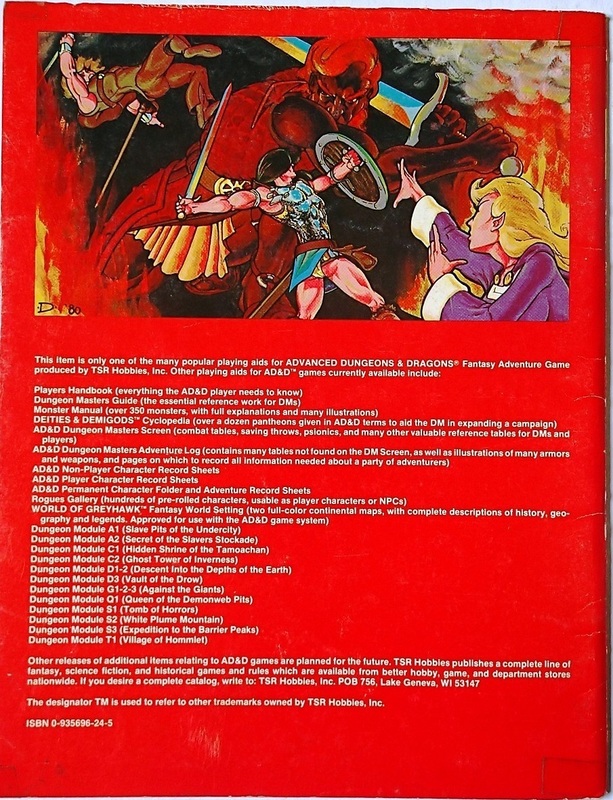 The module was renamed upon wide release in 1980, with front and back covers by Erol Otus. Without access to color, he relied on textures—the chiseled walls, the bolt of fire, the demon’s hair, the warrior’s armor. (On the back cover, it’s the combination of trees, ancient stone, translucent scales.) The Aztec art looks damn convincing, and the shadow of the wings on the walls is the kind of detail that separates Otus from other artists. 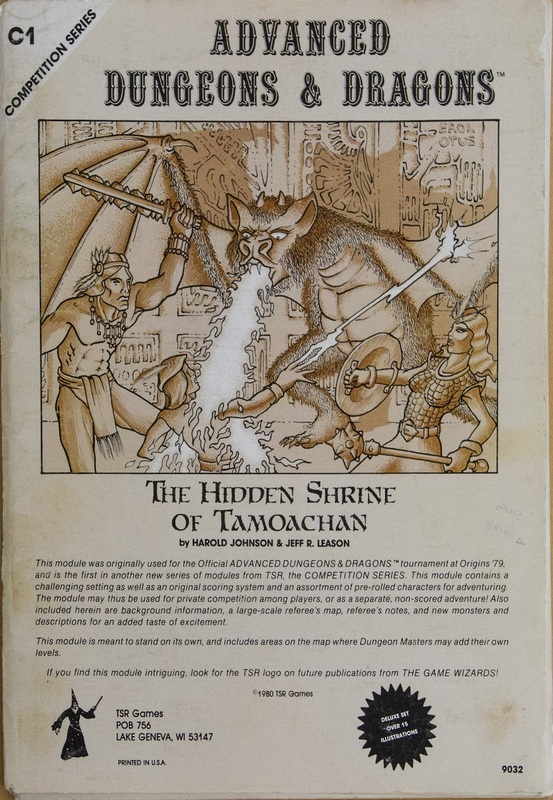 Otus did the front cover of the 1981 edition as well. Despite the gorgeous coloring and the thicker, more abstract figures that would become his trademark style, I think I prefer the earlier, more three-dimensional work. The back cover is by Jeff Dee. He uses Otus’s template for the scene, but gives it a Marvel Comics flavor. 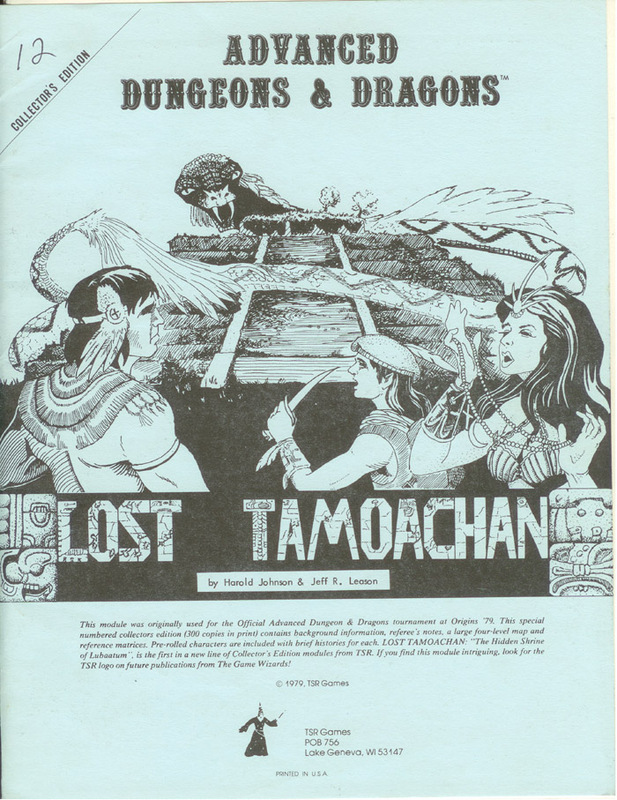 The innocence—some would argue the purity—of early D&D art, represented by the first and second editions of Tamoachan, would never be seen again. Read some background on the module’s development at Wizards of the Coast. 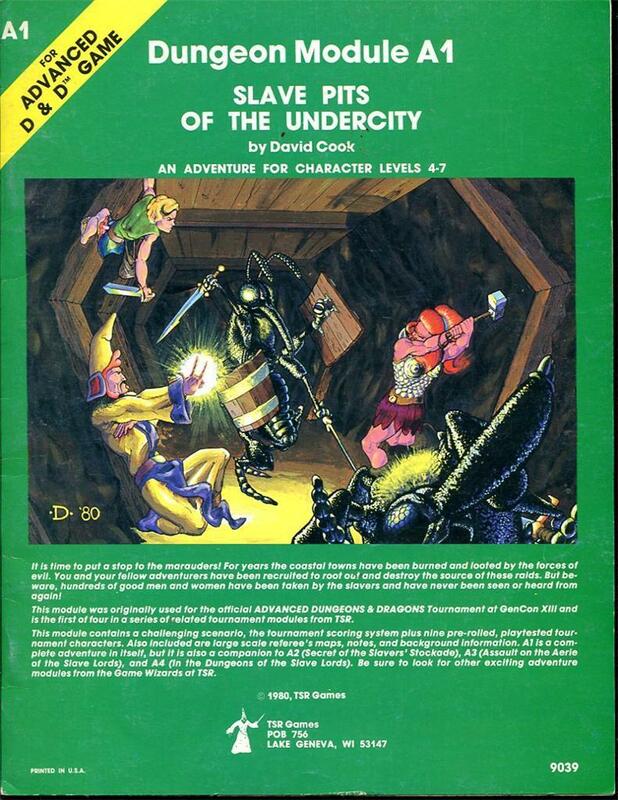 Slave Pits of the Undercity (1980): Both covers are by Jeff Dee. 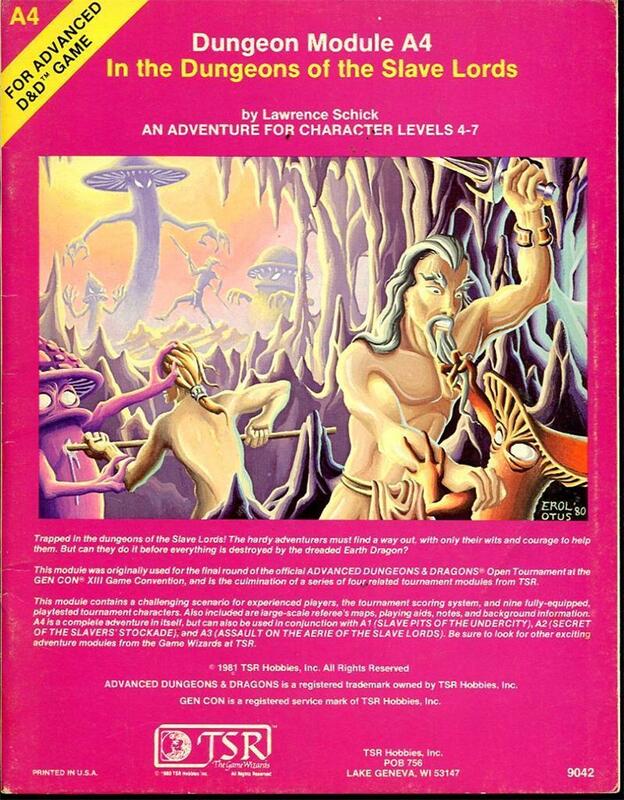 On the front, the wizard’s light spell saves the viewer and the party from utter darkness. (His non-casting hand is awkwardly placed, no?) Somehow, I don’t think the giant ant man’s two wooden shields are going to hold up against that hammer, but we have no idea how many of his friends are skittering to his aid, and that builds suspense. I suspect the back cover was a rush job. The figures are finished (I like the bandaged arm of the bad guy), but the background is a blank. 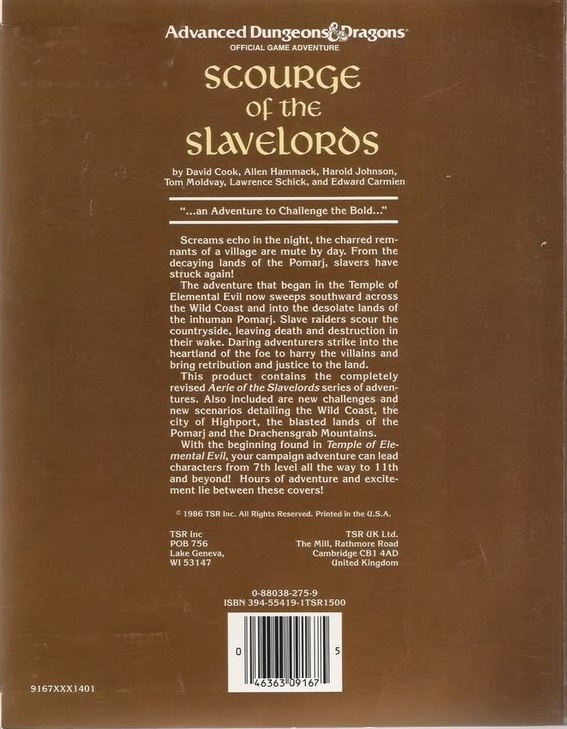 Secret of the Slavers Stockade (1981): Jim Roslof did the front cover. The torch light and ensuing shadows set the mood, but the scene doesn’t sell the threat: the slaver and his Gollum-like pet are no match for the waiting heroes. 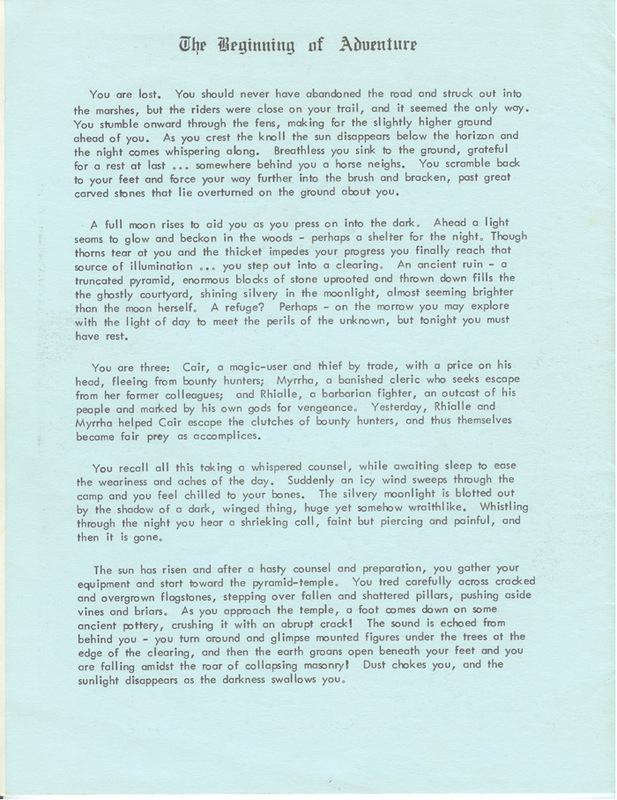 The back cover is Erol Otus. The man is in absolute command of color and light, and his figures are the stuff of myth, something you might see on the vases and holy artifacts of an ancient civilization. 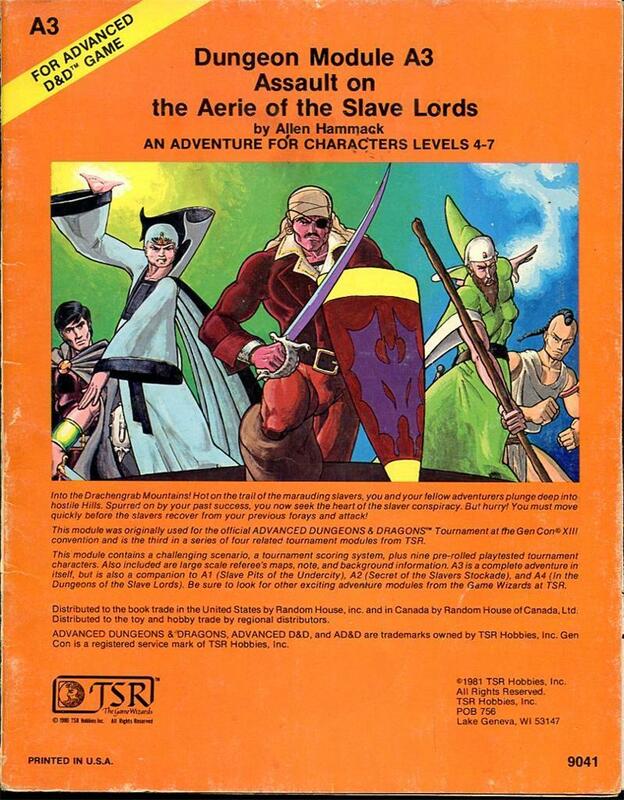 Assault on the Aerie of the Slave Lords (1981): Front cover is Jeff Dee again—substandard work, in my opinion: no motion, no life. The back cover, another Otus, is exactly the opposite: I can feel the pillars shaking, hear the cries of the warriors, the swooshing of the torch. In the Dungeons of the Slave Lords (1981): This cover, one of Otus’s best, is a phantasmagoric, fantasy-art-meets-German-Expressionism masterpiece. It belongs in a museum. Bill Willingham goes for the throat on the lurid and bawdy back cover, a nice homage to Hammer Horror. 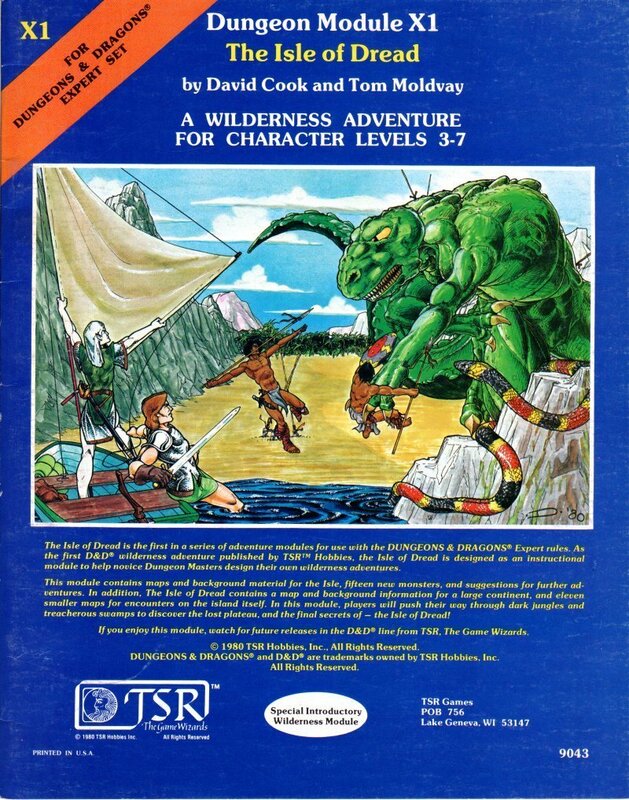 Unfortunately, the series is not yet available on dndclassics.com. 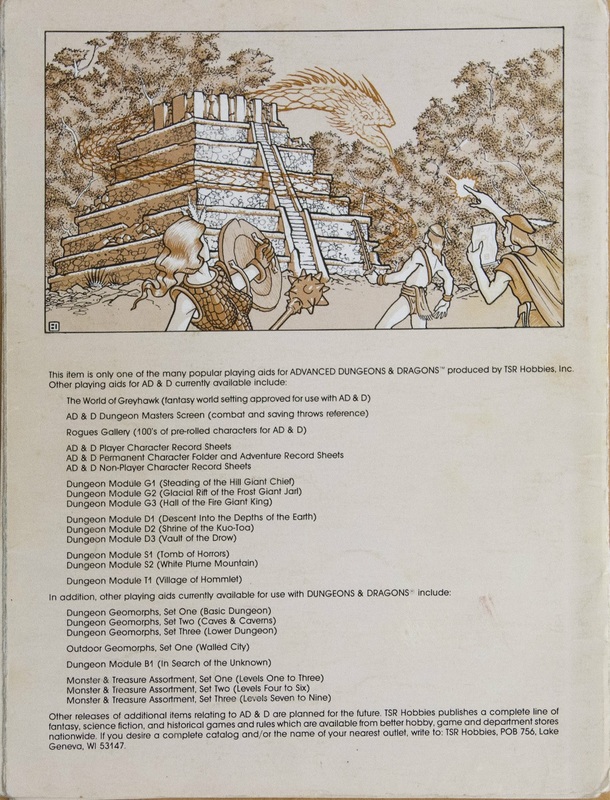 As an illustrator in the late 1970s and early ’80s, Roslof had a major influence on the developing visual style of the Dungeons & Dragons game. 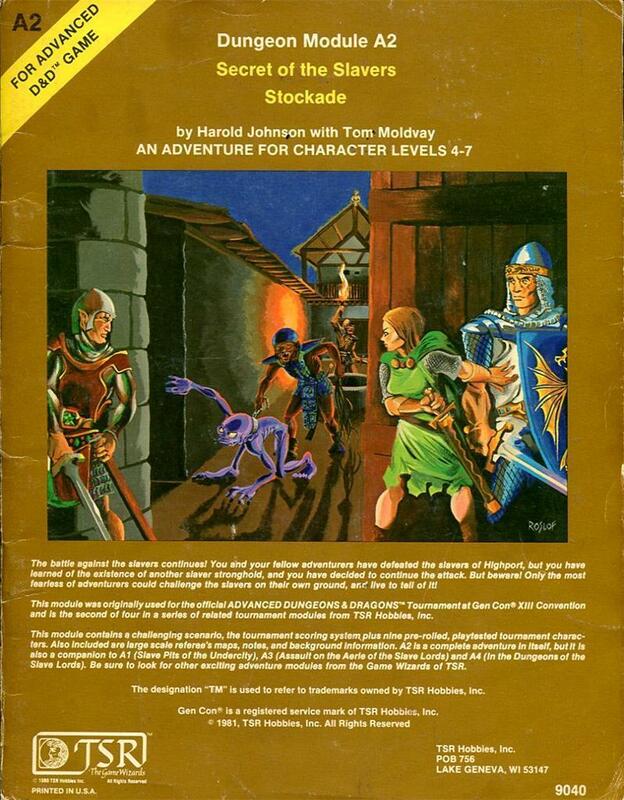 His cover illustration for adventure B2, The Keep on the Borderlands, is one of the most iconic and widely-recognized D&D images from that period. As art director, Roslof’s guiding hand was less apparent to players, but his influence was even more profound and far-reaching. 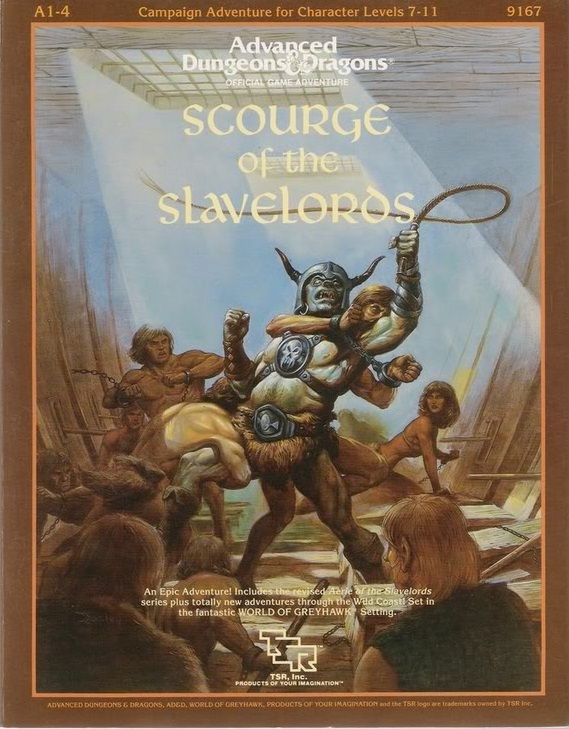 It was Roslof who hired and shaped TSR’s famous “pit” of color illustrators: Jeff Easley, Larry Elmore, Jim Holloway, Keith Parkinson, Tim Truman, and Clyde Caldwell. 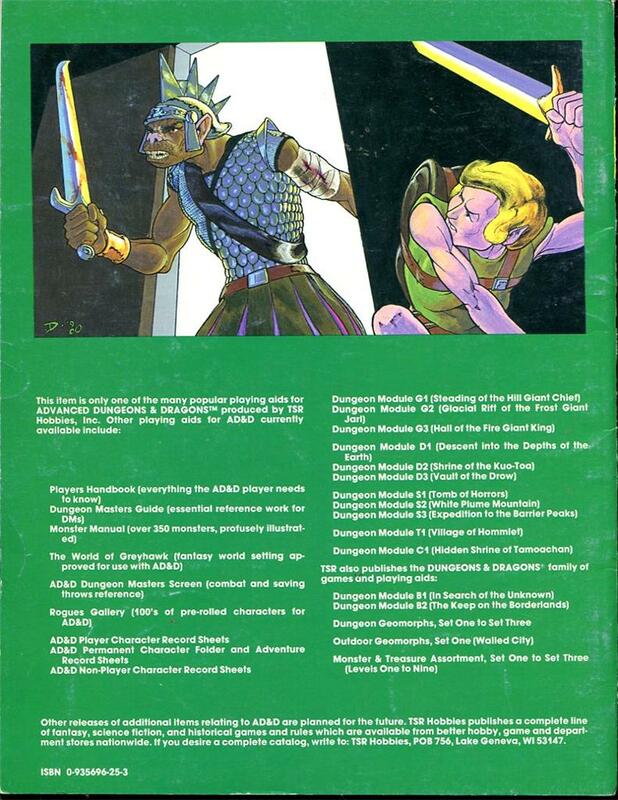 Under Roslof’s direction, their paintings defined Dungeons & Dragons for a generation of players and DMs. 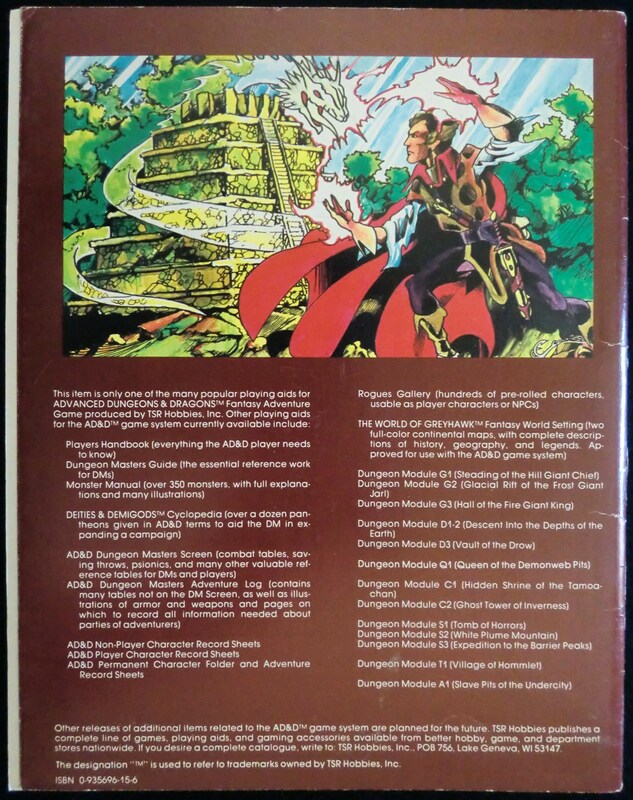 The back cover is by Jeff Dee, who did the front cover of the first Isle of Dread module, among other classics. 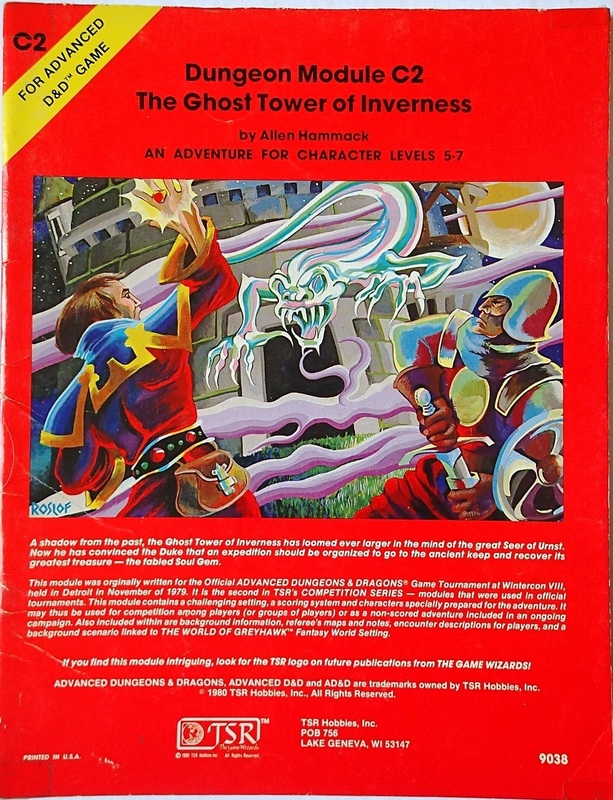 Grognardia reviews The Ghost Tower of Inverness (killer title, yes?) here. 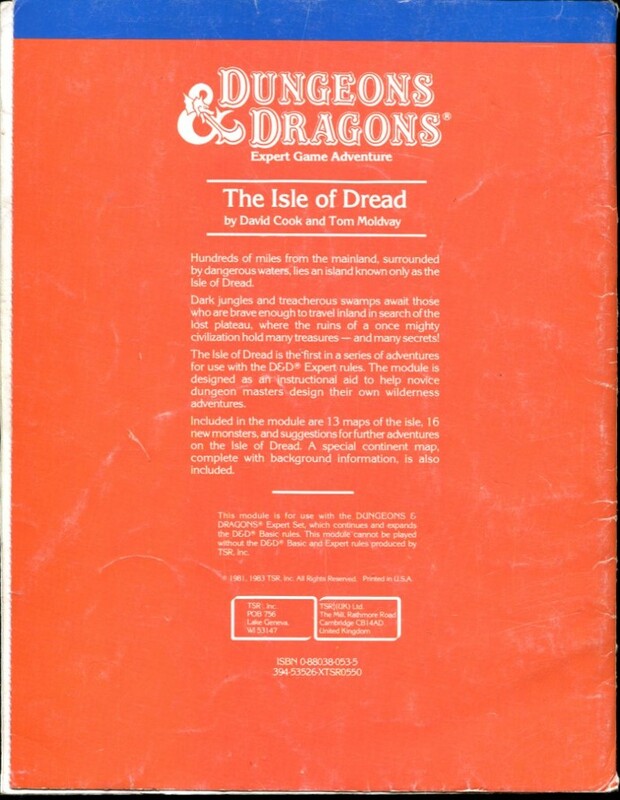 The module is currently available for download at dndclassics.com. 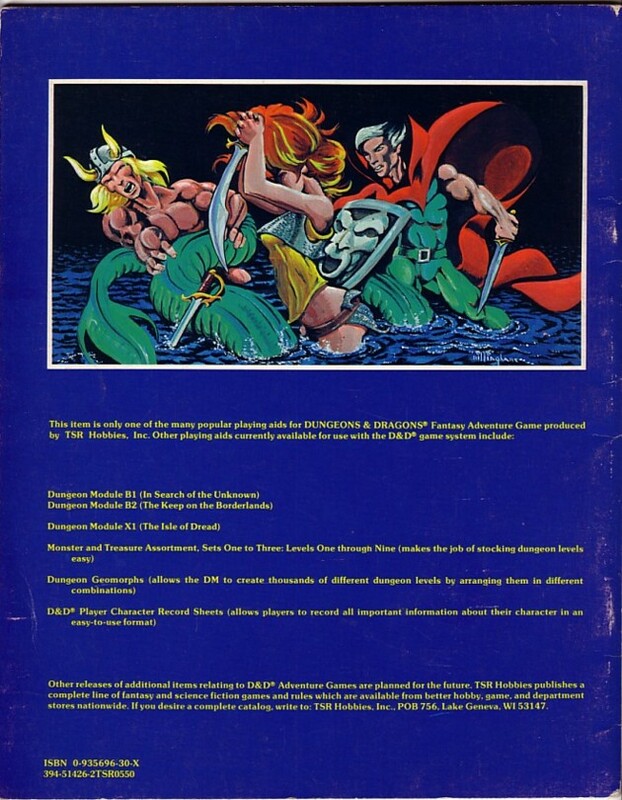 Cover art for the first edition (blue) is by Jeff Dee (front) and Bill Willingham (back). 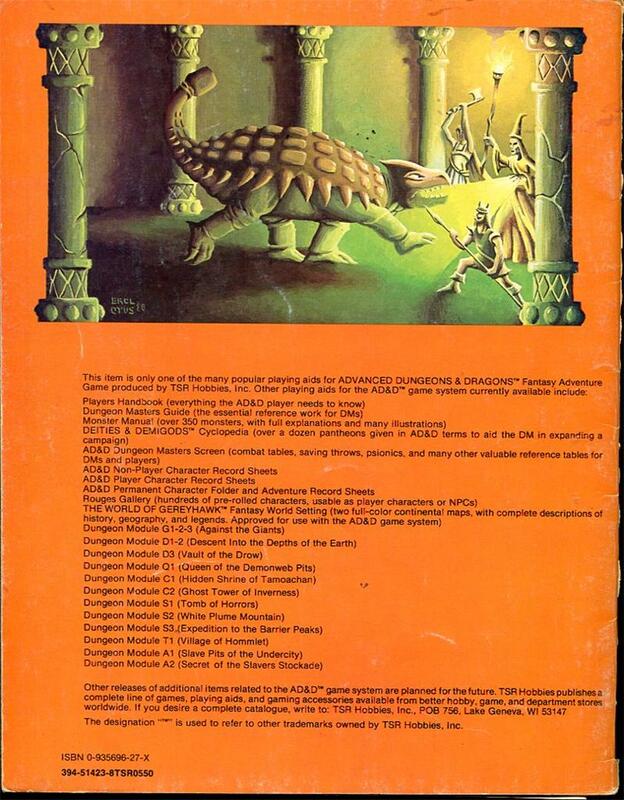 Cover art for the orange second edition is by Timothy Truman. More details at Tome of Treasures. 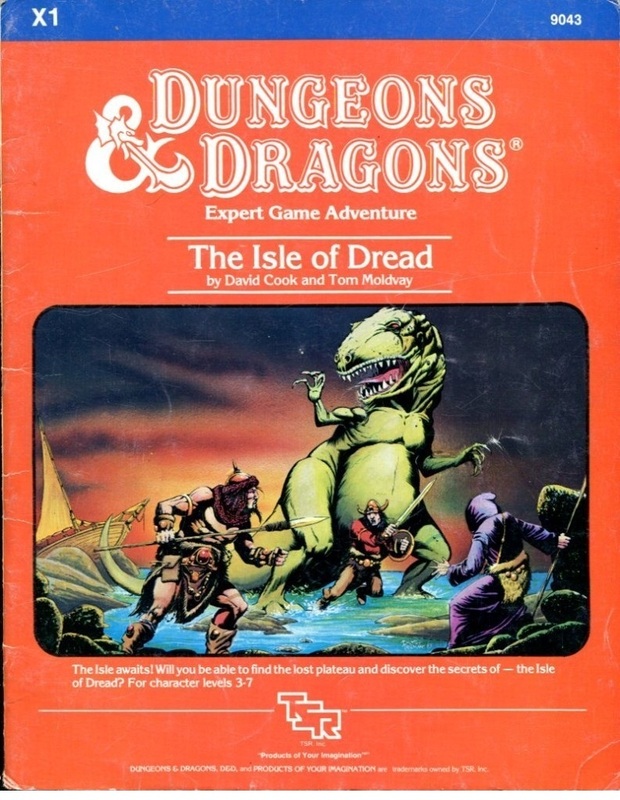 Grognardia reviews The Isle of Dread here.